Chinese Yuan Set to Increase Dramatically in Value – Buy Some Now – It's Easy! So says Larry Edelson in edited excerpts from his original article. China’s currency is set to dramatically appreciate against the U.S. dollar in the years ahead; I estimate as much as 50% and that means the value of the U.S. dollar, conversely, is going to lose as much as 50% of its purchasing power. So it’s not just gold you want to own, but some Chinese currency as well. I like the Market Vectors-Renminbi/USD ETF, symbol CNY, [to do just that]. It’s an ETF that tracks the Chinese currency, is easy to buy, and has a low beta, meaning it’s not too volatile. Down the road, it will also be easy for you to buy actual Chinese yuan currency. 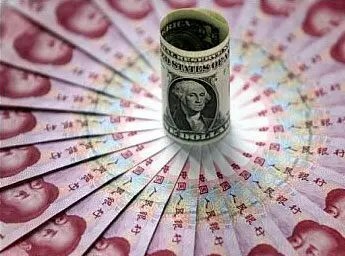 Soon there will be quite a few banks in the U.S. offering the currency and even money market funds denominated in yuan…because Washington and Beijing, believe it or not, are working very closely to bring the Chinese currency onto the international stage …To make it an international reserve currency … and to even make it stronger than our dollar, worth more than our buck. Hard to believe, I know, but it’s all spelled out for you in the special video I produced, filmed on the doorstep of the Shanghai Financial Center. It contains all the information you need to protect and grow your wealth as the U.S. dollar loses purchasing power against the Chinese currency. It costs nothing to view … and yet, it could make all the difference in the world when it comes to protecting your wealth and profiting in the months ahead. Simply click here to watch the video.